Many CONVERGE users in India and Southeast Asia are quite familiar with the magnificently mustachioed Ashish Joshi, who was the head of CEI’s Pune office. Until recently, CEI was a CONVERGE distributor, and Ashish sold CONVERGE and provided technical support to many CONVERGE users. 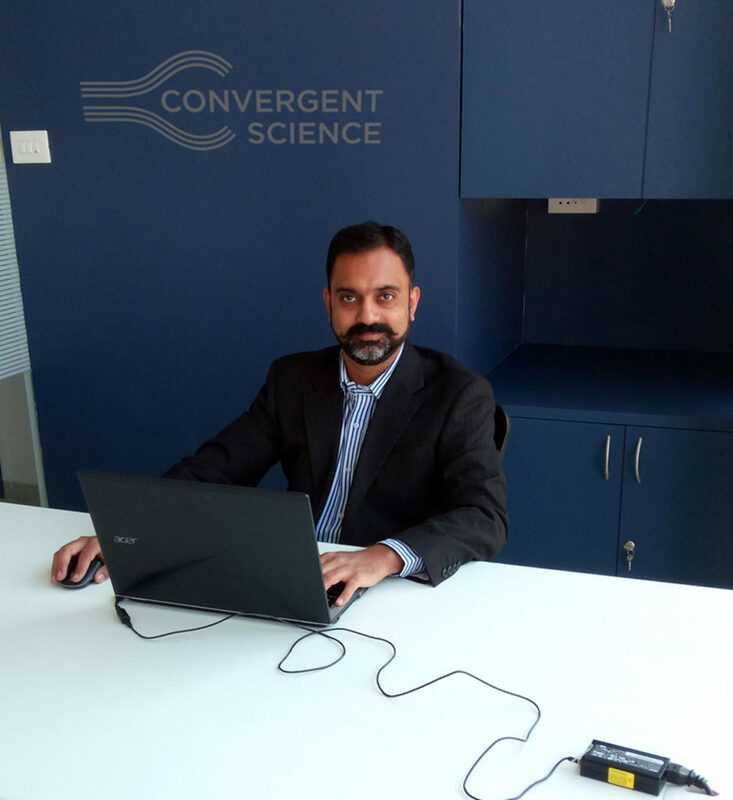 Now Ashish will continue serving in a similar capacity and will take on some additional duties as the leader of Convergent Science’s newest office, Convergent Science India LLP. In opening the Indian office, we capitalized on some changes to the CEI organizational structure and brought Ashish officially onto the Convergent Science team. Ashish has six years of experience using CONVERGE in a support and distribution capacity, so he is perfectly equipped to succeed in his new role of promoting, selling, and supporting CONVERGE throughout India and southeast Asia. Ashish is no stranger to new ventures. He helped create the CEI office in Pune back in 2011 after about seven years of working in sales and support for a different CAE software vendor. 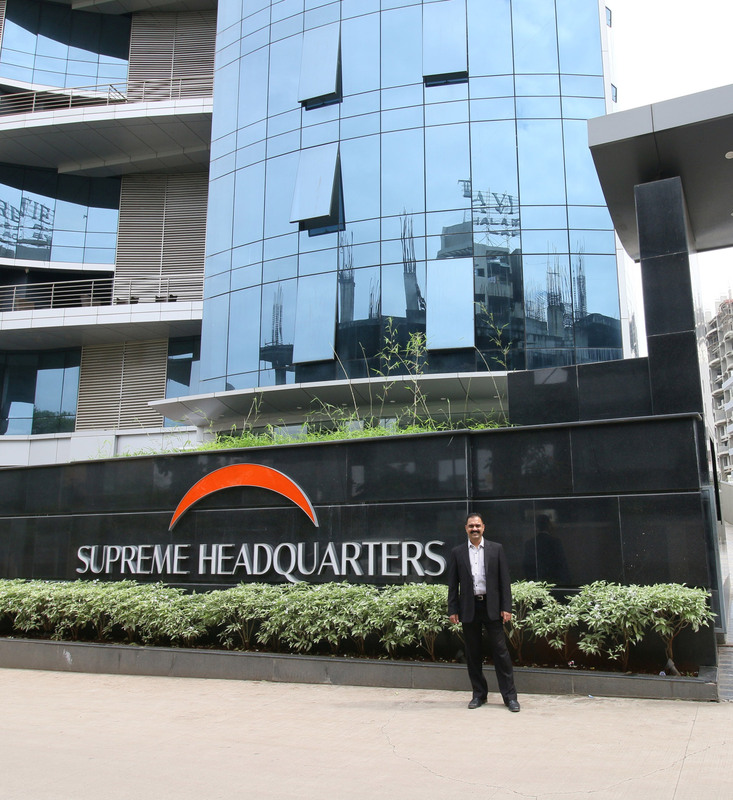 He is thrilled to use his organizational and planning talents to give Convergent Science a reputable presence in India from its new office in Pune. We have recently extended Convergent Science’s Indian presence based not only on this country’s strong history of CFD in research, but also on the engine market’s growth opportunity and other expanding research and development efforts in this quickly industrializing nation. India’s highly sought-after technical universities drive demand for CONVERGE in academic research. Consequently, these same researchers demand CONVERGE when they move to commercial R&D groups. IIT Bombay, IIT Delhi, IIT Madras, IISc (Indian Inst of Science), and several NITs are among the many academic research groups already using CONVERGE. Ashish has already begun work expanding CONVERGE’s presence in the most prestigious technical institutions of India. Ashish outside new Convergent Science India office location. Multinational corporations have been drastically increasing their presence in India. Indian engineers, scientists, and other professionals have seen an increase not only in the quantity of work in the past 10 years but also in the depth and quality of work for which they are responsible. Ashish has worked on fluid-structure interaction simulations with Indonesian aerospace researchers and has sold to universities in Malaysia, and Australia. With his efforts now fully dedicated to expanding the use of CONVERGE, Ashish is excited to develop collaborative networks in these nations to bring the benefits of CONVERGE to the swiftly changing nations of southeast Asia. 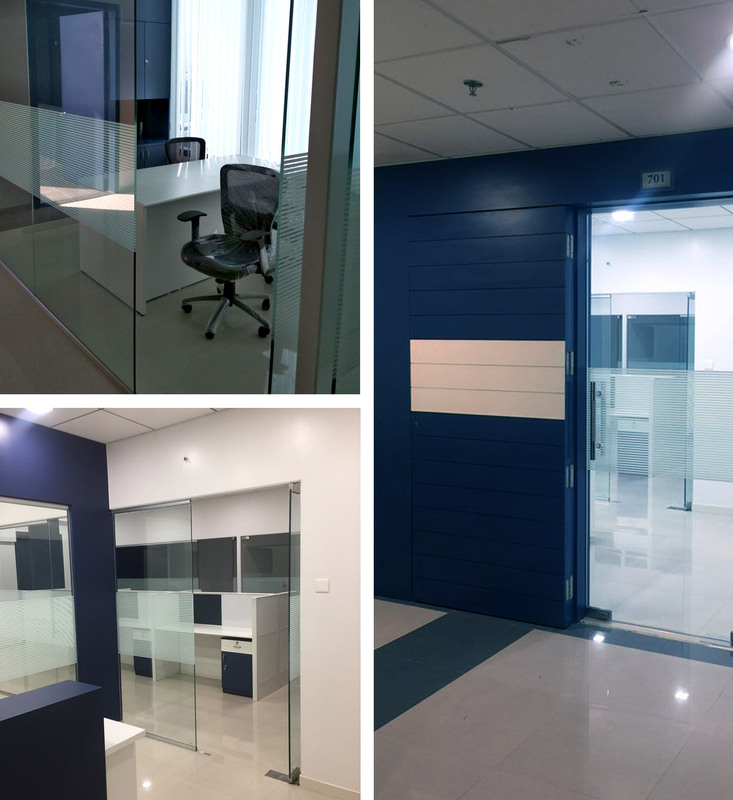 An expansion into India may seem like it was just the logical next step, but our main motivation to open an office in India is to better serve CONVERGE users. Our world-class support and applications team has developed a deep understanding of the needs of CONVERGE users in India. Based on this understanding, our leadership made the strategic decision to ask Ashish to represent Convergent Science in an official capacity from the new office in Pune. 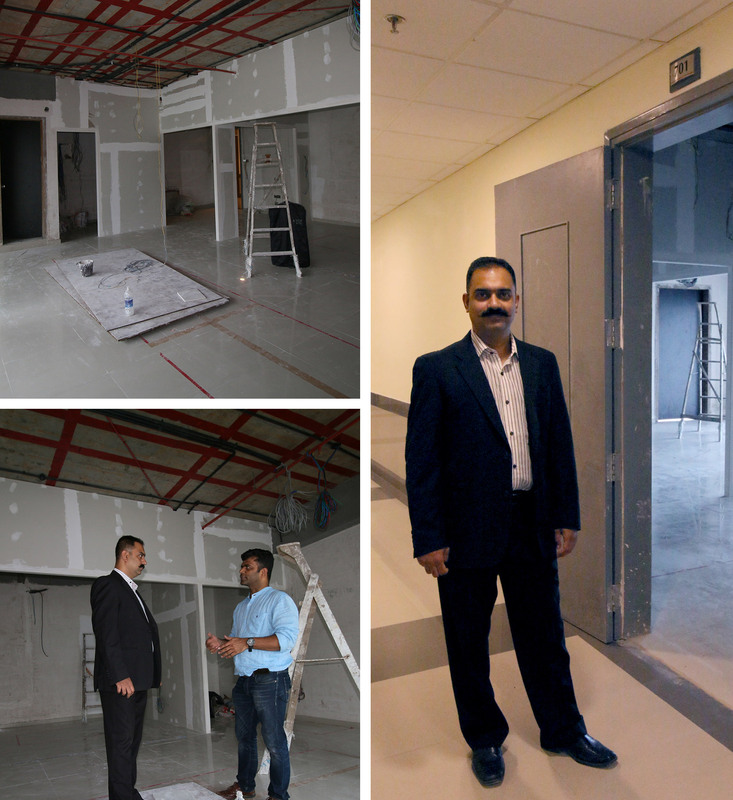 Renovation of the Convergent Science India office space. Engineers and researchers using CONVERGE are more than just users. 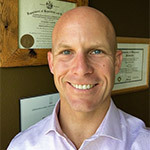 They are partners with Convergent Science. We know that when CONVERGE users succeed, Convergent Science succeeds, regardless of the type of simulation, organization affiliation, or country in which the researchers work. Ashish is an expert CONVERGE user, an excellent communicator, and a very important part of the success of CONVERGE as we expand into new geographic areas. If you are based in India, Australia, or southeast Asia, please contact Ashish directly with any questions about how you can start using CONVERGE to gain insight into your research and design for IC engine combustion, gas turbine combustion, aftertreatment, or fluid flow through any complex system. Ashish at his desk in the finished Convergent Science India office.